How Can Teachers Make Their Professional Learning More Visible? No one can logically argue that current and future education won't be based largely on our ability to leverage social networks for learning. There is plenty of rhetoric describing the emergence of web 3.0, but how many educators are practicing what they readily admit is the foundation of making our students "future-ready"? I applaud Cale Birk for suggesting talk can be cheap, and it's time to feature action. In his post, "#EDUDO - The New Hashtag", Cale asks educators to transparently share artifacts of learning using the Twitter hashtag, #EDUDO. 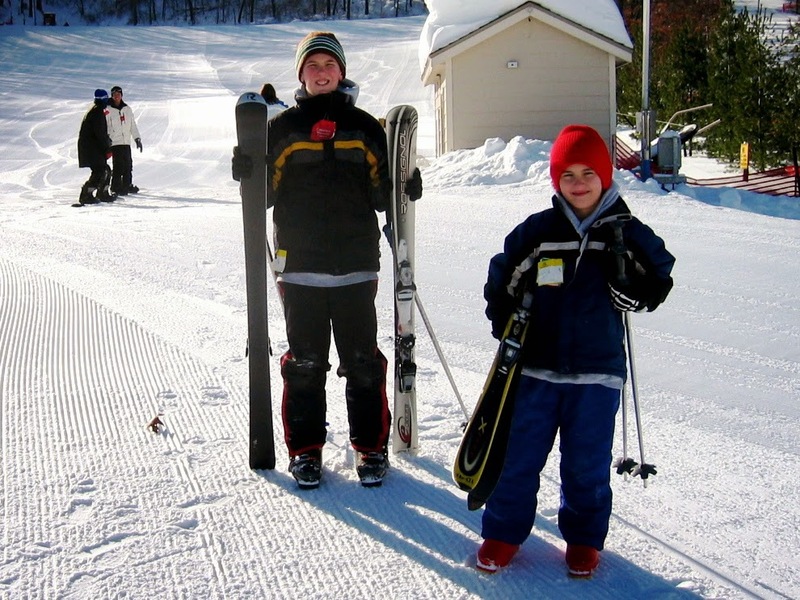 Several years ago, my sons became interested in downhill skiing. It had been some time since I had been on the powdery slopes, but skiing presented an opportunity for the three of us to actively learn and grow our skill together. I wanted to be able to articulate and demonstrate safe and effective skiing to my sons. In order to do this, I did some online research, talked to experts at the pro shops, and took several lessons from a friend who happened to be a ski patrol professional. The three of us then took lessons together, and before long we were progressing from green square (beginner) to blue circle (intermediate), then to black diamond (expert) runs. Modeling the learning process and focusing on skill development has helped make skiing an enjoyable bonding experience for us. Back in the classroom, some content-focused teachers are missing a tremendous opportunity. Instead of focusing on content knowledge, teachers should be visibly sharing how they learn. They should be modeling learning supported by social networks. Much like the skiing analogy, teachers and students can become partners engaged in learning through technology and global connections. Transparently sharing learning tends to increase accountability and motivation. Knowing this, it makes sense that all learners would have digital portfolios shining a spotlight on their learning and growth. Sharing these portfolios fits perfectly into Mr. Birk's #EDUDO initiative. Why should educators share their professional learning transparently? Transparency is good for the educator as they gain relevance by sharing with authentic audiences. He, or she, acquires skills and competencies that can be used to assist students to become self-determined, socially networked learners. Transparency is good for students as they see visibly how their teachers are learning and sharing. Transparency is good for parents who see their child's teachers as a growing, diligent, and relevant professionals. Transparency is good for colleagues who can learn from what is being shared while offering local perspective providing challenge, and contributing to further growth. Transparency is good for networks of educational learners as global insights and collaborations can add to depth of knowledge and diverse perspective. Transparency is good for evaluating administrators who are are looking for clear evidence of professional growth that supports student learning. Simply stated, transparency, or making our learning more visible, contributes to the learning of others. This is why I suggest to our teachers and students, "It's not enough to be a digital citizen, nearly anyone can do that. Be a digital contributor because the benefits are reciprocal and ongoing." Curate or create rubrics that help evaluate progress towards professional goals. The descriptors will help bring more focus and explanation to professional learning targets. Share success and failures alike as both outcomes will contribute to learning. Digital products can be easily linked or embedded into blog posts and pages. Publicly share growth and celebrate mastery so that others will identify you with a particular competency, skill, or achievement. This is not bragging, it's documenting and sharing learning. Use digital resources to create a portfolio of your professional learning. Digital badges are becoming a popular method of identifying competencies and achievements. These can be displayed as part of the professional portfolio. Here are examples of resources that can make professional learning more visible. Teachers readily acknowledge and appreciate students who are able to visibly share their learning. Teachers should apply this standard to their own professional learning. We raise our game, and we contribute to the learning of others when we share our professional growth to authentic audiences. You can help turn this post into a conversation by addressing the following prompts in the comments section. How do you make your learning visible to your students, and colleagues? Degreed.com is a great online resource for tracking and sharing everything you learn from any source. Love this post Robert. I could not agree more about making learning more visible. I am reminded of Clive Thompson's post in Wired about the benefits of blogging where he stated that even the worst blog makes us smarter (http://www.wired.com/2013/09/how-successful-networks-nurture-good-ideas-2/all/). Last year I did exactly what you said, collected all my data and reflections in a Google Presentation, but I wasn't sure if I really needed to publicly shared it. However, much that led up to it was published so I guess I probably could have. Thank you Aaron. I haven't considered the blogging benefit you share, but you are exactly right - I learn something from each post, even the weaker ones. And, the hope is that others are learning something, or adding perspective, as well. With respects to your slides, would anyone else benefit from seeing your learning process and reflections? Personally, I find it helpful to see the thinking of others in a visual form.